New research confirms that ‘perfect for pollinators’ plants can contain potentially toxic pesticides – so what can gardeners do about it, and how can we improve the odds for insects? 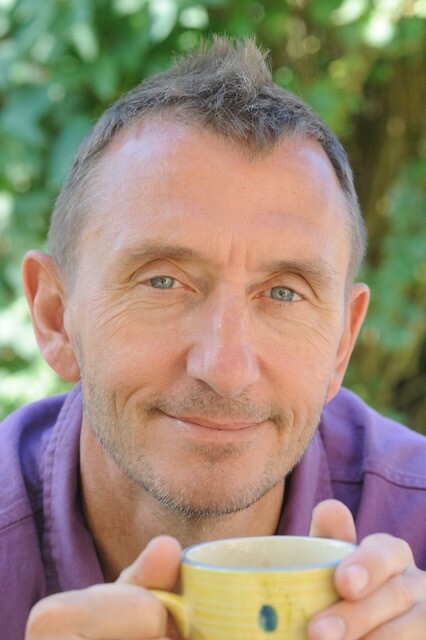 A year ago I interviewed Dave Goulson, Professor of Biology at Sussex University, about his six-year study into the effects of pesticides, particularly neonicotinoids or ‘neonics’, on wild bee populations (read that interview here). He crowdfunded £6,000 towards research into how widespread the use of neonics is in plants – especially those labelled as bee-friendly and ‘perfect for pollinators’ – that we gardeners buy. Dave Goulson, Professor of Biology at Sussex University. Dave and his team spent last summer mashing up a sample of ‘perfect for pollinators’ plants and analysing what they contained. With the results now in and published in the peer-reviewed journal Environmental Pollution (read the full paper here in PDF format), I asked Dave what he found, and what it means for the bees and other wildlife we share our gardens with. Remind us what neonicotinoids or ‘neonics’ are and why ongoing research into them is important. Neonics are neurotoxins, a group of insecticides developed in the mid-1990s which have become extremely popular. They are now the biggest-selling brand of insecticides in the world, and are widely used in agriculture and horticulture. They’re very, very toxic to all insect life and don’t discriminate between pest insects and beneficial insects like bees, butterflies, ladybirds or whatever. Neonics work ‘systemically’ in plants and can be sprayed onto leaves, watered into the soil, or used as a seed coating. Whatever route is used, they end up throughout the tissues of a plant, including in its sap, nectar and pollen. They are also highly persistent; once in the soil they remain there for years. There’s a big debate about exactly how much environmental harm they do. I personally think the evidence is pretty clear that farmland use of neonics is contributing to bee declines, and probably declines in butterflies and birds and aquatic insects, and perhaps more besides. Given that this is still debated, and with the UK government opposing restrictions on neonic use by farmers, then obviously it’s important that we find out as much as possible about what’s going on with these chemicals to add scientific evidence to support the debate. You’ve said that buying plants from garden retailers is like ‘playing Russian roulette with garden pollinators’. Can you sum up what your latest research found and why it’s important for gardeners? ‘There’s a great opportunity to make gardens bee-friendly, and to make our urban areas into giant ‘nature reserves’ for them’. Basically, we bought a bunch of garden centre plants that were flowering (or just about to) from some of the major chains that sell plants: Aldi, B&Q, Homebase and Wyevale Garden Centres. We tested these bee- or pollinator-friendly plants for the presence of pesticides. The depressing but not entirely surprising finding is that the large majority of plants being sold to people who want to look after bees and wildlife in their garden actually contained significant levels of pesticides, usually a complex cocktail of different insecticides and fungicides, including neonics, but also pyrethroid and organophosphate insecticides – which are also extremely harmful to bees and butterflies and moths and other insects. Essentially, there’s a real risk that well-meaning people are spending their hard-earned money in the local garden centre on plants they assume will benefit garden wildlife, but may actually be achieving the opposite; they may be poisoning it – which is pretty sad if it’s true. Given that this is major gardening news, have you been inundated with requests for interviews from gardening editors keen to spread the word? No, none at all. The gardening press seems to have completely ignored it. The Royal Horticultural Society (RHS) haven’t really responded either, and their ‘perfect for pollinators’ logo was on many of the plants we bought. Nor have Homebase or Wyevale Garden Centres responded, but Aldi and B&Q have pledged to stop using neonics [see below]. You found that many plants sold by garden retailers as attractive to bees/pollinators contain a cocktail of insecticides and fungicides. Does this mean that bees and insects inhabiting urban gardens and allotments might be at just as much (or greater) risk of pesticide exposure as those living in areas of intensive agriculture? We put bumblebee nests out into gardens and into farmland, and found that overall pesticide exposure does tend to be higher in farmland, which is what we would expect. But there were significant levels of some neonics found in the food gathered by bumblebee nests placed in urban areas around Brighton in East Sussex, so there is a risk that bees in urban areas are being exposed to pesticides. This is sad because I think there’s a great opportunity to make gardens bee-friendly, and to make our urban areas into giant ‘nature reserves’ for them. Obviously we’re not going to get far with that idea if some gardens contain lots of insecticides. When insecticides and fungicides get mixed together in a ‘cocktail’ in a plant’s sap, does the risk to bees, butterflies and other insects increase? There is clear evidence that some fungicides, including many that turned up in the plants we tested, act synergistically with insecticides. 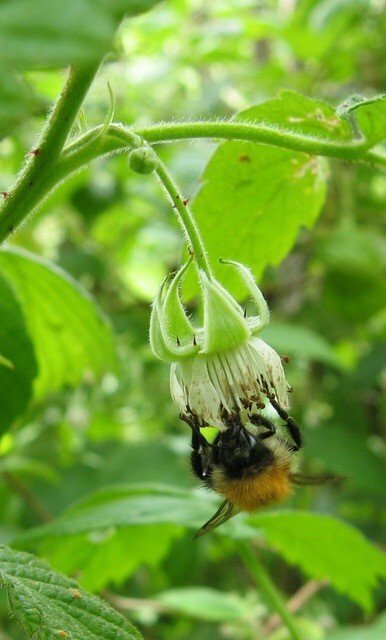 A group of fungicides, the DMI group, which in themselves are not really toxic to insects except in high doses, seem to block the detoxification mechanism of bees; if a bee is simultaneously exposed to an insecticide, it effectively becomes much more toxic to the bee – in some cases up to 1,000 times more toxic. This is not something that’s captured by the regulatory process for pesticides, which focuses on just dosing one test insect with one pesticide at a time. In reality we know that insects are being exposed to a mix of pesticides all the time, which don’t act independently, meaning their effects could be worse than standard regulatory testing would show. 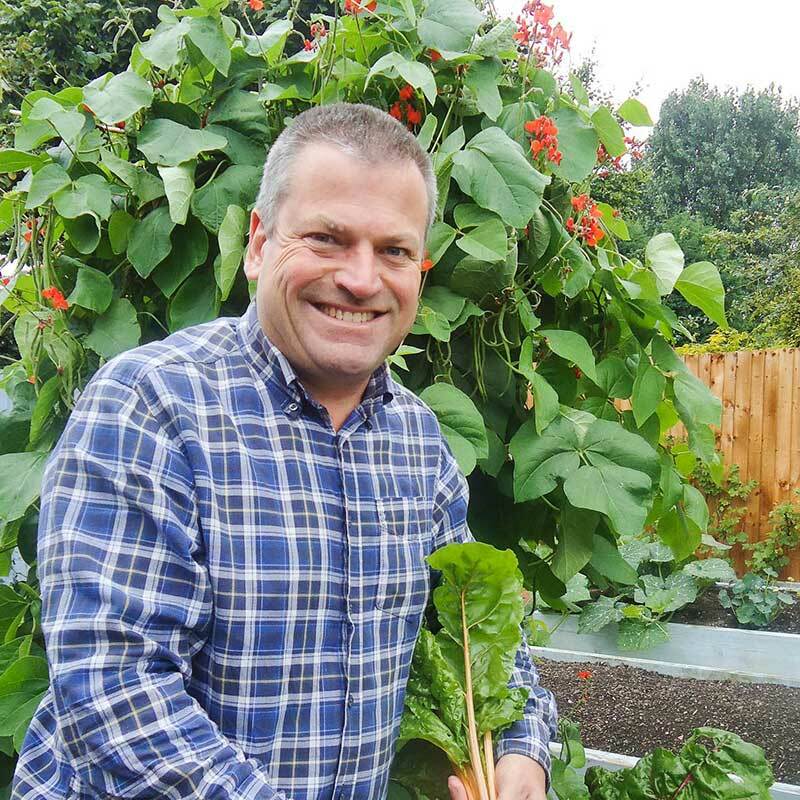 Following the publication of your research – and the unsurprisingly dismissive response from horticultural trade bodies and pesticide manufacturers – do you sense any genuine desire in the UK horticulture industry to adopt a safer approach to plant production? No, I think they’re hoping that this will go away if they keep their heads down long enough. If they really wanted to do something about it, you would think they would have engaged with the storm of online discussion about this issue on social media and so on, instead of just keeping quiet and apparently doing nothing. It seems unacceptable to be selling plants as bee-friendly that are full of insecticides, but that’s exactly what they’re doing and, as far as I can tell, they have no plans to stop. Have any garden retailers knocked on your door yet? Butterflies and all other beneficial garden insects are at risk from pesticides found in plants bought from retailers – even if they carry a bee-friendly logo. Gardeners helped with crowdfunding to make this research possible. What more can they do to build on its results and help sustain pressure for pesticide-free pollinator plants? Should they be raising it with garden retailers, writing to their MPs, both – or something more? I slightly despair because we don’t seem to be getting anywhere on this issue, and there doesn’t seem to be any positive response. But anything you can do to make policymakers feel that this is an important issue will help. So write to your MP – they don’t actually get that many letters; if they get more than two or three on a topic it’s regarded as a significant issue. Maybe go to your garden centre and tell them that you won’t be buying their ‘bee-friendly’ plants any more unless they clean up their act. That will apply pressure to reduce their pesticide use or, ideally, source plants that are guaranteed free of pesticides. What are your future priorities for research in this area? 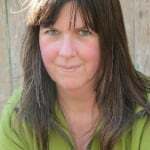 I’d love to see our research followed up and to test other retailers’ products – those like Waitrose who say that the plants they sell are free of pesticides – and see whether the promises of Aldi and B&Q are followed through on, but it’s hard to get money to repeat what we’ve already done. I could try more crowdfunding, but it’s expensive work (it actually cost a lot more than we managed to raise by crowdfunding last summer). Without some big grants coming in we’re not going to be able to continue working on this particular issue. Do you have any ideas on how to get the neonics message out to people with gardens, as opposed to committed gardeners – folk who might be swayed by a cartoon bee logo, but are completely unaware of the deeper problem? One of the endless difficulties I face is how do you engage with those folk that don’t care, and are not particularly interested in, or aware of, environmental issues – which is most people. There’s little political debate about the environment generally. Certainly the Conservatives don’t seem to give a damn about the state of the environment and the disappearing birds and butterflies and everything else. And I think most members of the public are just blissfully unaware of the huge environmental issues that we face on a global scale. How do we get to them, how do we convince them they should be voting for politicians who are thinking long-term and looking at the environment, or that they should be buying from companies that sell organic or pesticide-free plants and food and so on? I don’t have an answer. I’ve tried all sorts of things: writing books, articles and blogs, and using social media, but it often feels like I’m preaching to the converted. I don’t have a magic bullet. I hoped that media coverage of our garden centre plant research might do the job. We’ve had stories in the Daily Mail, the Independent, the Irish Times and some others, but I’m afraid it doesn’t seem to have got us terribly far. I would add that we shouldn’t get completely hung up on neonics. The manufacturers of neonics are probably already planning a staged retreat because they’ve got such bad press, and they’re probably anticipating them being banned in the near future anyway. But they will doubtless replace them with other insecticides which, in the fullness of time, will probably turn out to be just as bad. Replacing neonics with some other chemical isn’t going to help. Plants being sold as bee-friendly shouldn’t, in my view, contain any insecticides, and ideally no fungicides either. It would be wrong to focus all our interest on neonics because pyrethroids or organophosphates will also kill bees pretty effectively. As far as I can tell there is very little testing or checking of what pesticides are actually used by growers or found in plants. We need to be trying to move away from blitzing our garden plants with pesticides of any type, including when they’re being grown and when we’re using them in our gardens. People shouldn’t be buying pesticides to use in their gardens; there’s no need at all. There’s no commercial justification, because it’s gardening – it’s not going to feed the world! 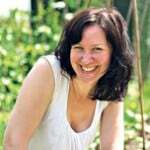 Much as I love gardening and want to encourage people to grow their own food and so on, you can do so perfectly well without any pesticides, and that’s exactly what I do. I have a big garden full of fruit and veg and flowers that looks fantastic and I don’t use any insecticides at all, and I’ve not used herbicides for the last few years. We need to try and move gardeners – and the people who manage the parks and road verges and everything else – away from the feeling that they have to blast everything with chemicals. There’s also the issue of pesticide use in farming which is perhaps for another day, but it is something that needs tackling. 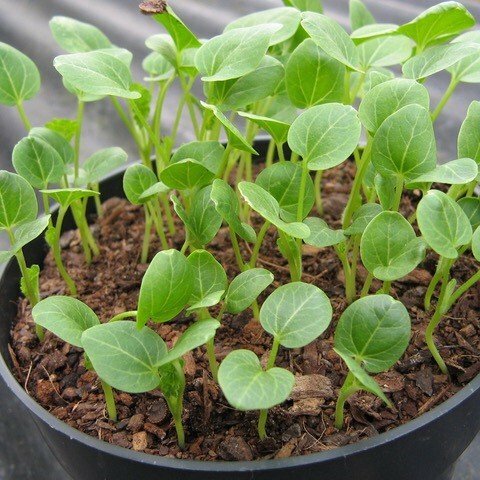 Growing your own plants from seed in a quality peat-free compost – such as Which? 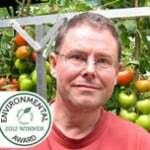 Best Buy SylvaGrow With Added John Innes – is one of the surest ways to avoid contaminating your garden with pesticides. We have some excellent sources of pesticide-free plants and bulbs (such as organic Ecobulbs sold by The Organic Gardening Catalogue), but they represent a tiny pinprick in the total sold in the UK. In our previous interview you said the benefits of bulbs that are already established in a garden will outweigh the harm from any declining residues of neonics. 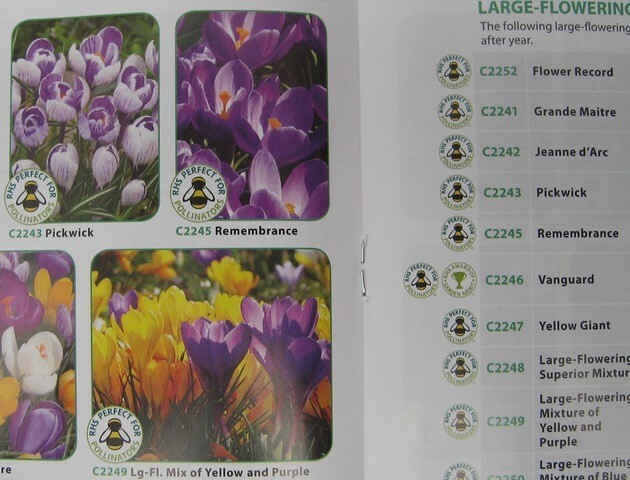 I’m keen to plant more bulbs, and many bulb catalogues are plastered with the RHS’s ‘perfect for pollinators’ logo, but make no mention of whether their bulbs are free of pesticides. Given that organic bulb production may never keep up with demand, can I reduce the risk to bees and other insects from non-organic bulbs by removing the first season’s unopened flower buds (I’m thinking here of spring- and summer-flowering bulbs such as camassias and lilies) so that pollinators don’t come in contact with any potentially contaminated pollen and nectar? I don’t see any problem with that, and it would probably give the plants a boost and help them become established. Some bulbs can be grown from seeds (although some are not so easy). Generally if you want to get hold of new plants for your garden and you’re worried about them being dosed with insecticides, you have three options. Find an organic (and peat-free) nursery, grow things from seed, or plant-swap with your neighbours. Most people have a surplus of plants that thrive in their soil and it’s easy to dig up bits and move them from garden to garden. This is a far greener way to fill your garden with flowers than going to a garden retailer and buying plants that have been reared with lots of pesticides and fertilisers, often in peat-based compost, and sold in disposable plastic pots. That isn’t green in any sense of the word. Given that we can’t tell if plants on sale contain a pesticide cocktail (unless they’re from an organic grower), would it be wise to plant flowering shrubs in autumn, to give time for any residues to dissipate while insect activity is low over the winter months? We know that woody plants treated with neonics can stay toxic for three or four years afterwards. Planting them in autumn isn’t going to help entirely, but would be better than nothing. The RHS motto is ‘sharing the best in gardening’. 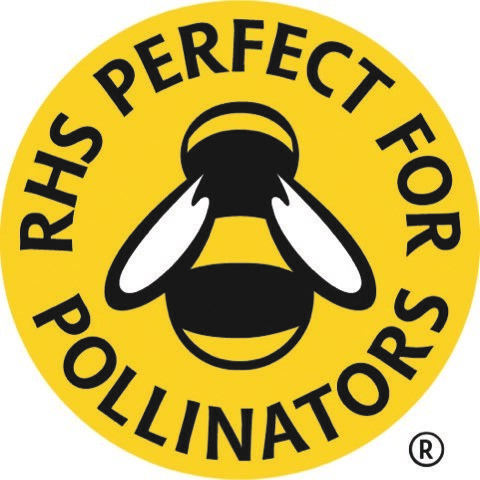 Its closeness to the UK horticulture industry, and the results of your research, raise the question of whether the RHS is now best placed to administer its ‘perfect for pollinators’ logo scheme. Do you think we need an impartial body (perhaps funded via a ‘pesticide tax’ paid on pesticides sold by retailers and used by growers) to regularly spot-check that plants labelled ‘perfect for pollinators’ are actually safe for bees and butterflies? ‘The RHS should withdraw their logo, or restrict it to suppliers who can guarantee that their plants are pesticide-free or, at the very least, insecticide-free’. I don’t blame the RHS for this as much as the retailers and the suppliers. The RHS have simply produced a list of plants which are good for pollinators, in the sense that they produce lots of nectar and/or pollen, and are liked by bees, butterflies and other insects. Obviously the RHS either ignored or hadn’t considered this pesticide issue until last summer when we started crowdfunding the research. I don’t sense they have much interest in monitoring or reducing garden pesticide use, but they must have had some inkling that plants are being reared in ways that involve lots of insecticides, and so perhaps should have been more on the ball. Certainly I think it’s disappointing that they don’t seem to be being proactive about sorting this issue out. My view is they should withdraw their logo, or restrict it to suppliers who can guarantee that their plants are pesticide-free or, at the very least, insecticide-free. B&Q have said they will stop using neonics on their flowering garden plants from February 2018, while Aldi announced they had stopped using them in autumn 2016 (after you’d tested their plants in July). Given the results of your research, don’t they need to go much further and stop using other pesticides as well? And is there any real benefit in a few retailers going neonic-free, if the rest carry on using them, and also use other pesticides? It’s a step in the right direction if some retailers stop selling plants with neonics in them, but that doesn’t preclude them from selling plants full of other insecticides and fungicides – and who knows what else. It would be good if people responded to that and said, ‘OK, if B&Q are really providing neonic-free plants, then that’s where I’ll get mine.’ Other retailers might realise they’re losing sales and buck up their ideas, but that will only happen if significant numbers of their customers change their buying habits. Looking ahead as we begin our divorce from the European Union, what are your predictions on how the use and regulation of pesticides (especially garden chemicals) is likely to look in a post-Brexit world? Depressingly, I think it’s very likely that the UK is going to be moving towards deregulation of pesticides. It’s well known that the UK government opposed the current EU moratorium on neonics, and so far as we know still does. The European Parliament is now moving towards a complete ban on the three main neonics used in farming, not just on flowering crops but also on non-flowering crops. Once again the UK government is opposing it, so it seems like the UK is determined to be the dirty man of Europe when it comes to pesticides. Brexit will give free rein to our government to do what it likes in that respect. In June 2016 you said you didn’t think the current government gave ‘two hoots for the environment’. Has your view changed – and how can we ensure it starts giving a hoot? My recommendation would be to vote for somebody else. I’m delighted to see that the Labour Party have started talking about the environment – the only big party that has in recent years, apart from the Green Party. So I would have to say that if you care about the environment at all, don’t vote for the Conservatives. Previously you gave these top six plants for pollinators: anise hyssop Agastache foeniculum, comfrey, lavender, marjoram, Phacelia tanacetifolia and viper’s bugloss Echium vulgare. Can you give us six more to make it a pollinator’s dream dozen? 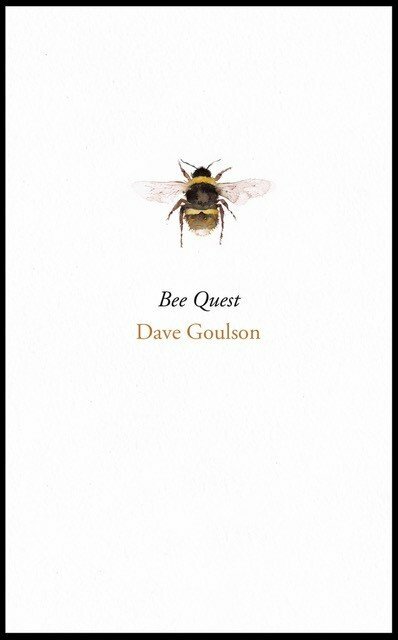 Bee Quest is Dave Goulson’s latest book, about his hunt for the world’s most elusive bees. Catmint (Nepeta) is fantastic for bees, flowers for ages and is dead easy to grow. I discovered Helenium quite recently, which is brilliant. There’s a thistle with no spines, Cirsium rivulare ‘Atropurpureum’, which is covered in bees in my garden right now, as is Ceanothus, a Californian shrub with beautiful blue flowers. Almost all hardy geraniums are really good for bees. 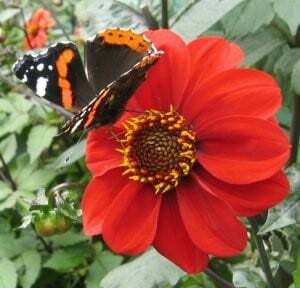 This last one might surprise: dahlias. Some – such as the double, multi-petalled ‘cactus’ and ‘pompom’ types – are useless, but open, single-flowered varieties such as ‘Bishop of York’ and ‘Bishop of Llandaff’ are very popular with bees, and showy too. ● Dave Goulson, Professor of Biology at Sussex University, is a scientist on a mission. After a childhood spent chasing butterflies and collecting birds’ eggs, he went on to study biology, did a PhD in butterfly ecology, then specialised in bumblebee ecology and conservation. In 2006 he became Professor of Biology at Stirling University, founding the Bumblebee Conservation Trust the same year. 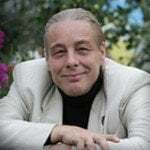 He is author of the best-selling A Sting in the Tale, A Buzz in the Meadow and Bee Quest, and co-founder of the UK citizen science charity The Buzz Club. Text and images © John Walker. Book jacket courtesy of Vintage Books. I am shocked and saddened by the ignorance that you both show of the industry that you are critisicing here. I just put in yet another 12 hour day delivering nursery stock to garden centres and as you both know I do not use any peat or chemical pesticides. It was dreadful study with a poor sample, no blinding and as far as I can tell no controls. The conclusions that you have drawn from it are erroneous because you have no understanding of the industry and were not willing to gain an understanding. How much better would it have been for pollinators if you had spoken to a few nurseries before drawing your conclusions. How much better wo uld it have been if you had spent some time investigating growers widespread use of bioinsecticides, plastic and water recycling, predator banks and careful monitoring of pests and cultural controls. Why, instead of repeating the phrase “growers cleaning up their act” could you not compare the industry of thirty years ago with how it is now and then work with growers to encourage them to make it even better. Do you think B andQ, who you promote, give a toss about pollinators ? How do you think that they will ever be able to know what pesticides are used on the plants when the supply chains to those kinds of outlets are so long ? 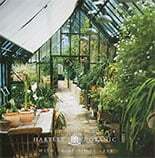 How can you be so sure that organic nurseries have plants without insecticides ? Did you test any ? did you not realise that they also have a supply chain ? Did you ask any where their bare root herbaceous or plug plants come from? I am not angry because I have respect for the nursery stock industry. I’m angry because this is poor science and poor conclusions and because you both overlooked the many people like myself that are struggling along doing our best to get this job right. I am angry because I will have to lay Chris off soon and I wanted him to have a good job here with prospects and training and a future. I’m angry because you are both in a position to do so much better but get it wrong because you would rather point the finger than engage with us, help us even. I hate garden retailers but I spend every working day trying to get them to understand the issues and actually getting my hands dirty putting peat and pesticide up the agenda. You have both , once again, made that job a bit harder. Thanks for that. I am puzzled by your response. 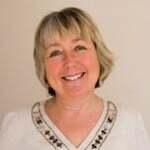 The work was done by a highly experienced and respected team of analytical chemists, led by Prof Liz Hill at Sussex (I am not a chemist). The work went through a vigorous peer review process with the journal, being evaluated by two anonymous referees. Blank control samples are routinely used in analyzing pesticide residues. The plants were bought ‘blind’, in the sense that the buyer had no way of knowing which plants might have been treated and which might not. The only bias is that we bought only plants that are known to be popular with bees, and where present we bought plants with a “pollinator friendly” logo on the label. The sample size was fairly small (29 plants) because this work is expensive, and we had limited funding. Nevertheless, 27 of 29 plants contained pesticides. Seventy percent contained neonicotinoids. Five out of five of the retailers we sampled were selling plants containing insecticides. Are you seriously suggesting that this is not an issue that people should know about and be concerned about? Are you arguing that somehow, by chance, we happened to buy contaminated plants when most are actually clean? I can assure you that, statistically speaking, the odds of that are vanishingly small. You say “our conclusions are erroneus because we have no understanding of the industry”. I do not need an understanding of the undustry to be able to say that selling plants as ‘bee-friendly’ when they actually contain insecticides is wrong. Whether or not the situation is better of worse than 30 years ago is besides the point, and impossible to evaluate. There certainly would not have been neonicotinoids 30 years ago, as they hadn’t been invented. So, I am very comfortable repeating the statement: retailers should clean up their act; they should either stop marketing plants as “bee-friendly”, or ensure that they are free of insecticides.